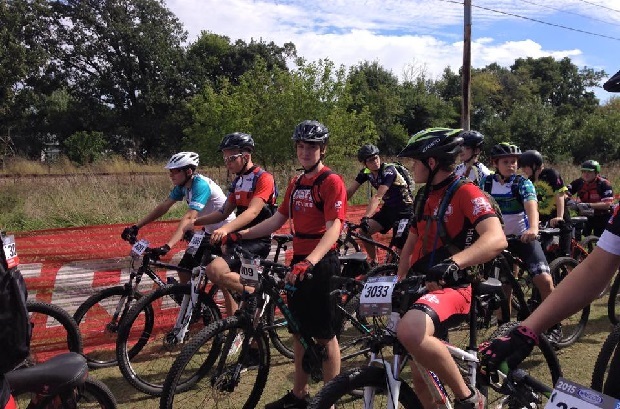 Brand new to this year’s selection of great courses and tracks in Minnesota, to mountain bike on, is Austin, where the Minnesota High School Cycling Leagues second race of the season was held. With beautiful skies and perfect riding weather the 2015 – Schindler Classic on this new trail offered some cool features including an exciting elevated bridge over a narrow span of water. With a course distance of 3.2 miles the new trail also offers a mix of fast straight-aways and twisty corners. As with any newly cut track, race participants experience a few added bumps and challenges on this new course that added to the fun. To see race results from this last Sunday, click here. 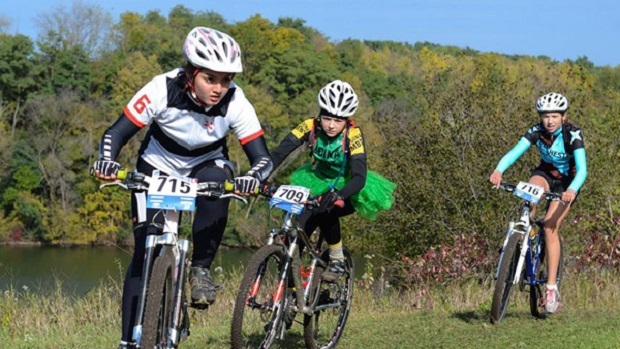 The Minnesota High School Cycling League was organized in 2012 to provide competitive mountain biking programs for students in grades 9 to 12. With the cooperation of local race organizers, many partners and sponsors they are able to provide a high quality mountain racing experience. 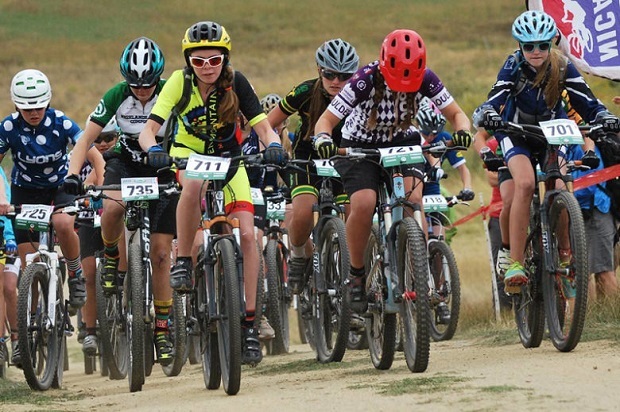 They believe that mountain biking is the ‘T-Ball’ of cycling and several League alumni athletes are now racing on professional teams at events like the Tour of California and the Sea Otter Classic. Due to the rapid growth and participation, the MN League has expanded to now allow middle school aged students to race. Regardless of ability level, the Minnesota League is committed to providing a positive experience for all high school and middle school aged student-athletes. See more photos here, from Rydor Bike shop. 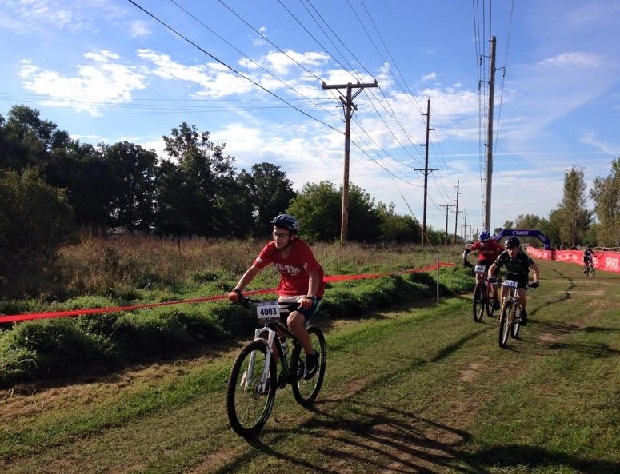 This entry was posted in Destinations, News and tagged MN High School Cycling League, mn mountain bike racing on September 21, 2015 by Russ Lowthian.